Every time I see a Himalayan salt lamp I drool. I am always saying I am going to pick one up. Not only are they beautiful to look at, but they also have some benefits. If you are like me and dreaming of owning a Himalayan Salt Lamp but don’t want to lug it home with you I have the perfect place for you to visit. 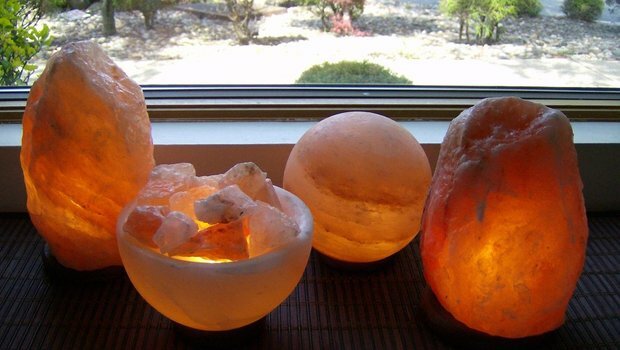 The Himalayan Salt Shop is an online store full of Himalayan Salt Lamps! Now you can peruse the site and pick out the perfect lamp for you. They will ship it directly to your front door. In exchange for posting this deal and information I will receive a complimentary Himalayan Salt Lamp for review. All opinions are my own. I just bought one but am waiting to use it until we move at the end of the month. I never heard of a salt lamp before. Very interesting. I keep one of these in my office at work; I find it really relaxing. My friend has one. They are really unusual and beautiful. I have 2 of them. They’re awesome. My allergies have improved a great deal. I’ve gone from taking Advil four times a week to maybe twice a month. You can’t just have 1 though. Get one for your main living space, then one for your bedroom. The lights annoying at first but you get past that quick enough. To get extra bulbs too, it’s a complete mess if the light goes out. It’ll get salt everywhere. I had no idea they were so helpful with allergens.Thanks for the great information about them.I would really like to look into getting one now. I have been reading about these for years and have always wanted one. Keeping my fingers crossed that I’ll win one. My family has trouble w/ allergens. I will definitely check this out.